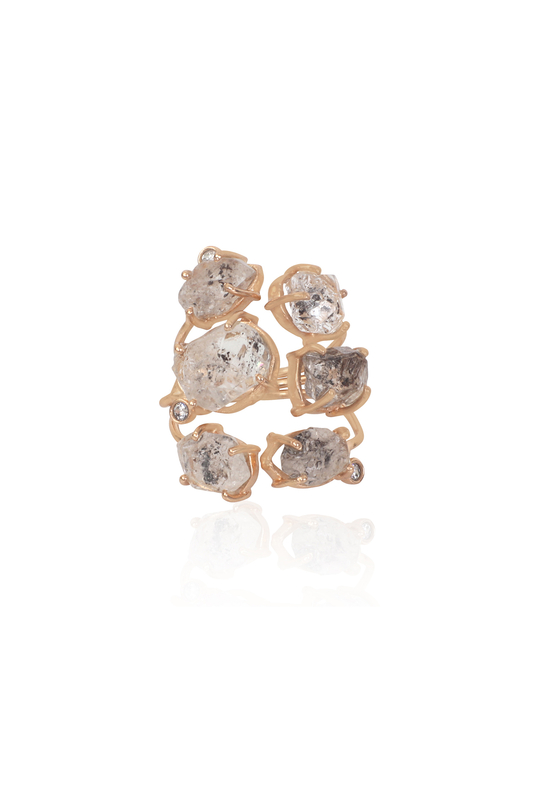 Quartz hexa ring designed by Atelier Mon at AASHNI+CO. 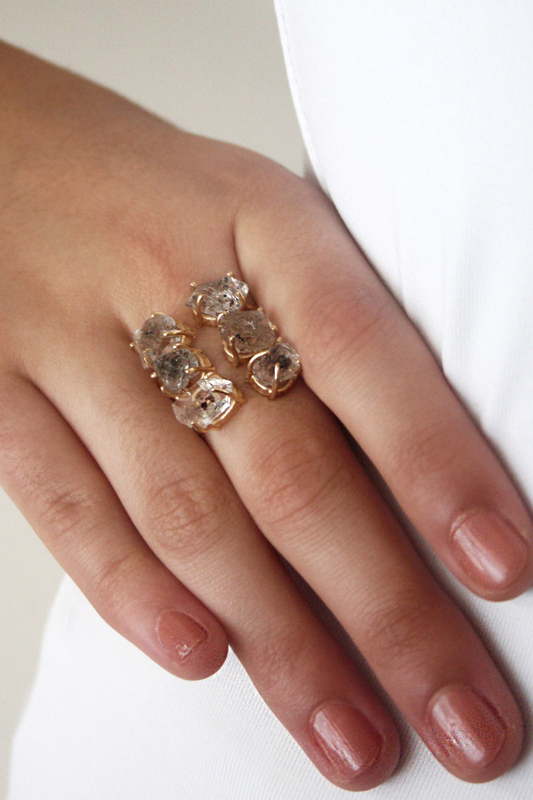 Atelier Mon designs a unique piece of ring with diamond and quartz. Enrich your cocktail look with this stunning piece.